You put on your skate, stand up and start heading out of of the locker room. 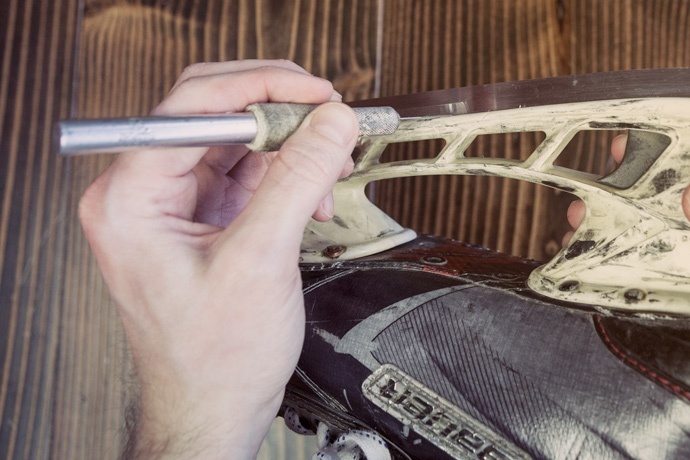 Every step you take sounds as if your skate steel is going to fly out of your blade holder. More often than not, your steel is secure, it is just loose inside the holder. 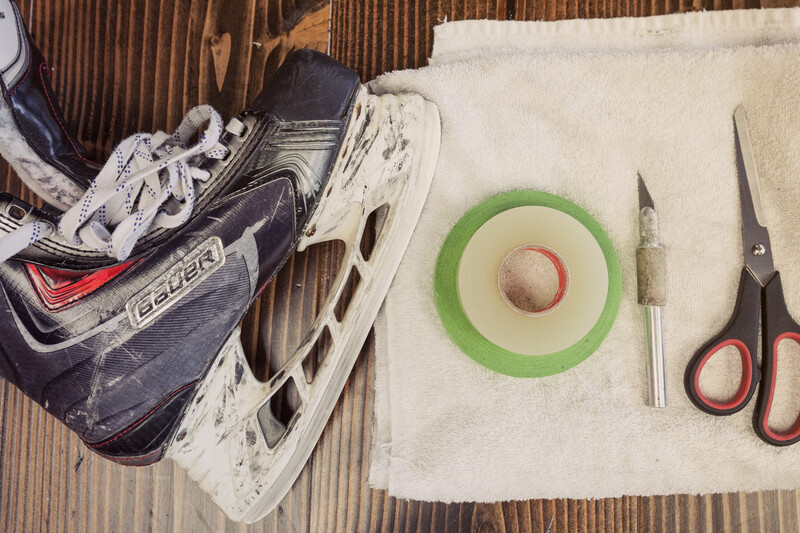 A great hack to fix this annoying problem comes from some of the game's best equipment managers in Dana Heinze of the Pittsburgh Penguins and John Sokoloski of Boston University. 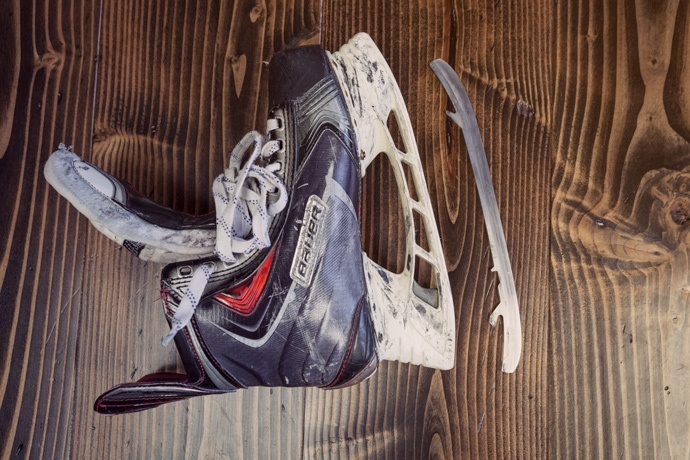 Depending on what brand and model of skate you have you may need to unscrew (older Bauer, CCM, or Reebok models) or pull the trigger (Newer Bauer models) to remove your steel. 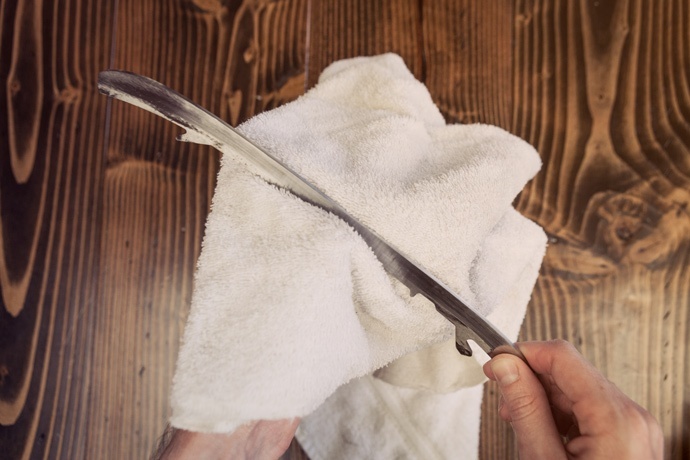 Now's a good time to wipe down that steel with a damp cloth, making sure to remove any dirt or small impediments that may prevent our tape from sticking and then let dry. When the steel is room temp and dry, move to the next step. Ok, here's the magic: Cut two pieces of clear tape (around 2-3 inches in length). 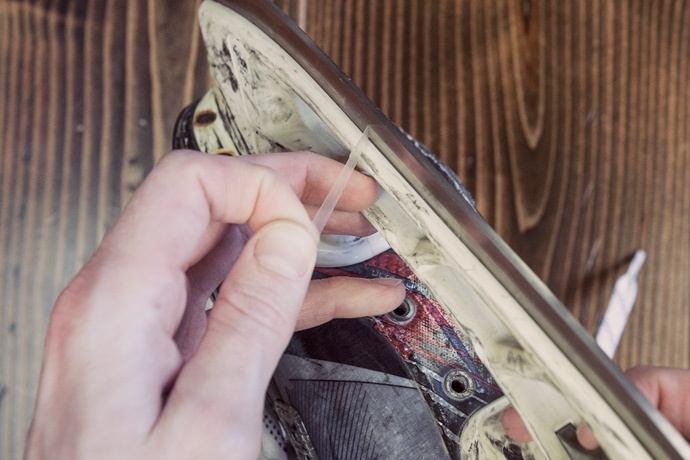 You may need to work around different features of the skate blade depending on the brand/model. 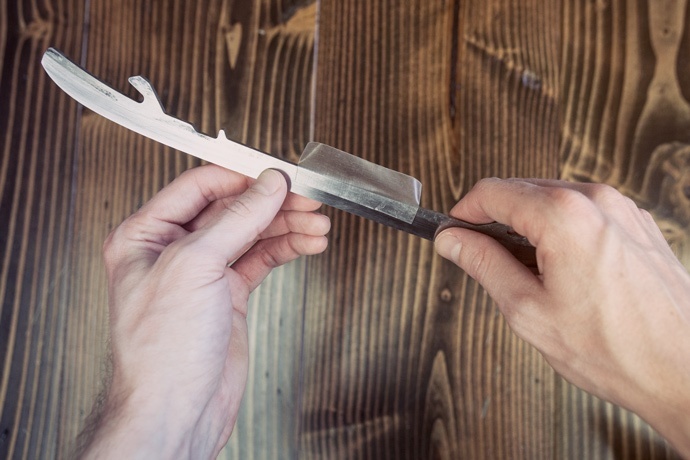 Take each of those strips and wrap the top side of the blade, try to be as even as possible. 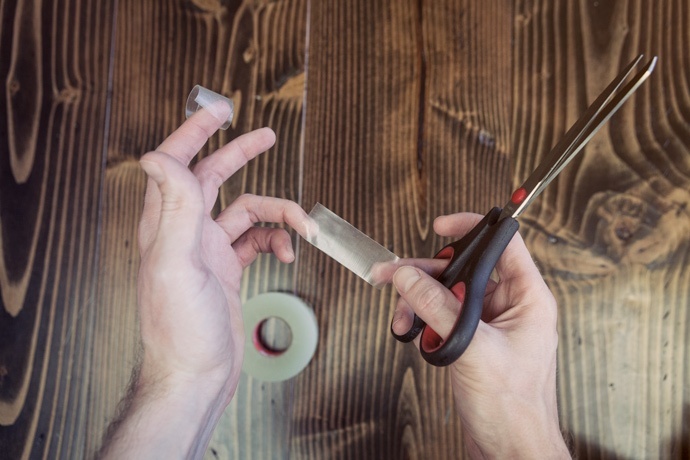 Use your fingers to press down and remove any wrinkles or air bubbles left in the tape. You may need to use a little extra force at first to push the steel back into the holder. If you still can't manage to get the steel in, remove the strips and trim them down in length (around 50% of what they were before) and try again or use the masking/painters tape which is a bit thinner. After it's in, I'll always use a Xacto knife to trim all of the tape hanging outside of the holder to make it easier to stone/deburr after sharpening. That's it. This hack works like a charm! Previous Post: Uneven Edge Checker Reading - Why Aren't My Edges Even?